For each breed I have given a brief outline of the lifestyle needs of this type of dog. It includes the home environment; the amount of exercise needed; the type of coat and how much grooming is required; any breed related temperament issues. The temperament of the individual dog you choose is paramount which is why it is important to meet both parents of a puppy. If possible you should see how the puppy interacts with its siblings and other dogs. This measures how closely inbred a dog is. Inbreeding is a major cause of genetic health problems in dogs and the score should be as low as possible. 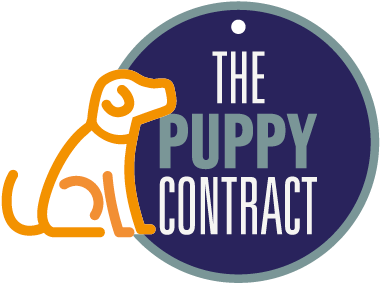 The average COI for a breed is given and your puppy’s COI should at least be lower than the breed average. You can check this yourself by logging on to the Kennel Club’s Breed Information Centre. Click on Mate Select, scroll down, click on ‘Calculation of an individual dog’s inbreeding co-efficient (COI), click on the breed name, type in the puppy’s (or parents’) pedigree registered name or KC registration number. The percentage COI will be given. 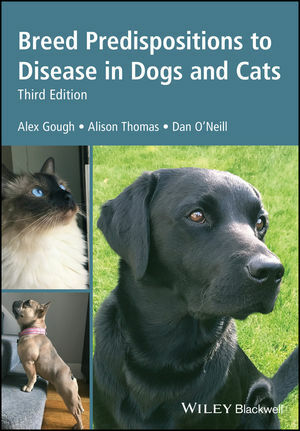 Note that this doesn’t tell you how healthy a dog is – just how inbred it is. Health and welfare problems due to conformation. Some breeds of dogs have physical exaggerations which impact on the dogs’ quality of life. It is best to avoid those dog breeds which have obvious physical deformities. If you have your heart set on a breed, at least you should look for a breeder who does not select for extreme features. Many dog breeds have become more extreme over recent decades due to what is favoured in the show ring. See also the separate article on Conformation related problems. There are currently 4 official health screening schemes for dogs: Hip dysplasia, Elbow dysplasia, Eye diseases, Chiari malformation/Syringomyelia (CMSM) If these are relevant to the breed you choose, make sure that both parents of your puppy have been screened. Check that the hip score is lower than the breed mean score; the elbow score is as low as possible; and that eye test results show ‘not affected’. Certificates to show proof of screening must be available. For the CMSM scheme both parents should be free from SM and aged over 5 years when the screening was done. If younger parents are used, all four grandparents should be over 5 years and free from SM. The original of the mother’s MRI certificate should be shown and copies of the father’s and grandparents. There are an increasing number of DNA tests available for genetic diseases in dogs. These are listed. Both parents should have been DNA tested for the relevant diseases and not used for breeding if they are affected. However, ‘carriers’ of the disease gene may be used with a ‘clear’ mate. In some cases, when eliminating all affected dogs would seriously deplete the gene pool (due to the high frequency of the disease) an ‘affected’ dog could be mated with a ‘clear’ dog, resulting in all offspring being ‘carriers’. The general aim, however, is to elimate ‘affected’ dogs and gradually reduce the number of ‘carriers’. Make sure that you see the certificates for these tests and that they relate to the dogs in question. For some genetic conditions breed clubs have their own ‘unofficial’ health screening schemes or breeding protocols for tackling a genetic disease. These are listed when known, but it would be a good idea to check on the main breed club website. Breeders should follow these schemes if they are available and be able to show you the relevant certificates. There may be legitimate reasons why a breeder does not carry out all of the above tests/screening, but it is important that you ask why they have not been done. Do not buy if you are not satisfied with the answer. The diseases listed here are not less important than the ones which have tests or screening available. It could be a very serious, widespread and complex problem which has not been tackled yet. Some serious breed related diseases are not caused by a single gene. They are said to have a complex mode of inheritance, making it more difficult to identify the genes responsible and provide a DNA test. Do ask the breeder about all of these and whether there is any history of these diseases in the parents, grandparents or great grandparents of your puppy. Ideally these diseases should be ranked according to how serious a threat they are to the breed. However, the absence of reliable prevalence data makes this impossible at present.